Conocophillips and Lukoil have begun oil production in the Yuzhno Khylchuyu field located in the Nenets Autonomous District. 70% of the joint venture belongs to Lukoil, in which ConocoPhillips has a 20% stake. Oil produced in the field will be transported to the Barents Sea coast for eventual sale to European and North American markets. The field is expected to produce 7.5 million tons a year by 2009. The U.S. oil major is looking to broaden its presence in Russia and its relations Russian companies. At a press conference on Thursday, Conoco President Jim Malva said that although it had a relationship with Lukoil, it was looking for ways to develop relationships with Gazprom and Rosneft, and other companies. 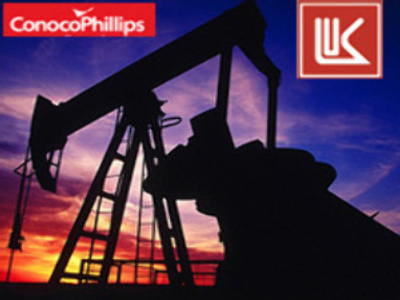 At the same time he noted that ConocoPhillips plans to jointly tender with Lukoil for the West Qurna field in Iraq.